What is the typical piece of equipment associated with confined space entry? In many people’s minds it will be a tripod. Or possibly a quadpod. And the typical entry is probably vertically into a manhole, silo or vessel, using a tripod and retrievable fall arrest block for access and rescue. As a result, many training courses rightly major on the use of these bits of kit. Which is fine, until workers need to enter ducting, tunnels, culverts or a whole host of other confined spaces horizontally. In many of these situations a tripod is often not the correct piece of kit for the job. This is because there are other systems which may work more safely, effectively and which require less training and skill. Pull sideways on a regular tripod and unless it has been specially set up and secured it’ll just fall over. Not good. At Reax we work with many people whose normal confined space access involves crawling under floorboards, into ducting or service tunnels. 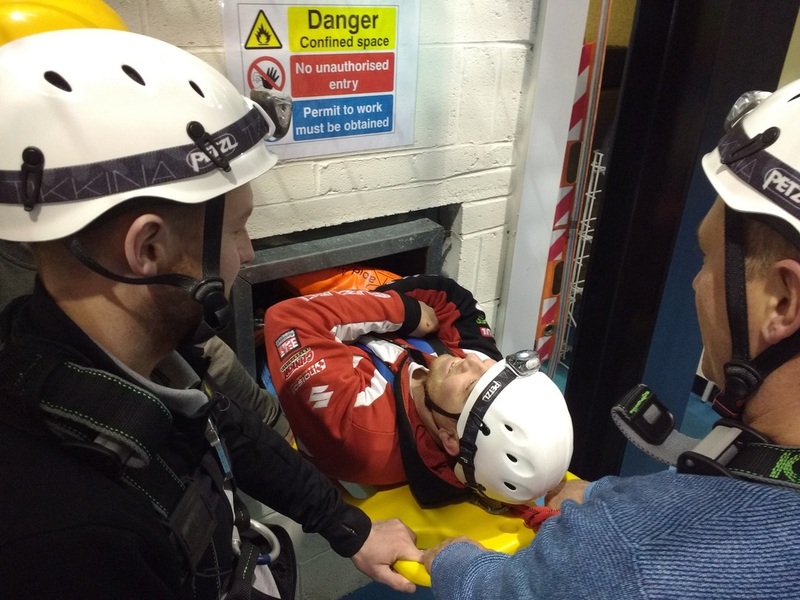 On our courses we as standard make sure people are trained in the essentials of vertical confined space access but also ensure that they are trained for the specifics of their horizontal work. So, what are some common ways to apply effort from outside to rescue someone from a horizontal confined space access situation? We don’t have time in this short article to consider rescues which require the rescuer to enter the space. Equally, a range of site-specific factors such as obstructions, corners and sharp edges won’t be considered. Instead we are going to concentrate on the foundational systems which might get someone out of a confined space. These systems allow someone to drag a casualty horizontally. Most of the techniques considered below avoid the rescuer entering the confined space, which is preferable. The first of these methods however does not come recommended! Please, please, please do not do this! This method is so common it is scary! Basically, this involves sending someone into a horizontal confined space with at best a gas monitor, a hope and a prayer! If anything goes wrong, which we optimistically think it won’t, just run! And there’s always the fire service to pick up the pieces, isn’t there?! This method is really just a lack of planning, rather than a thought through rescue method. 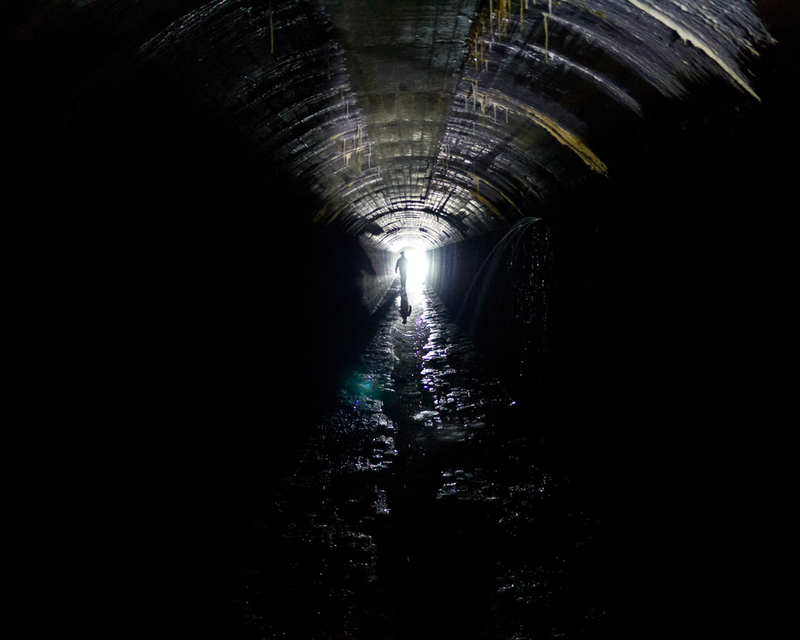 In the UK, Regulation 5 of the Confined Space Regulations 1997 state that there must be “suitable and sufficient arrangements for the rescue of persons in the event of an emergency…” Unfortunately, this requirement is often overlooked, as financial and time constraints often take priority over people’s safety. So, do plan for rescue! Ok, they don’t need to be angry, and there may be more than four, but they do need to be outside the confined space, ready to pull on a rope which is attached to someone inside the space. At least this may provide a way of getting an entrant out of the space. We don’t advocate this approach, but it is better than having no rescue method in place at all. It does have a large number of disadvantages which means that it is not preferable. For example, there is more chance of a casualty who is stuck or snagged on something being hurt. Other systems give more “feel” to the rescuer, allowing them to detect resistance in the hauling system. In addition, this system requires a number of people, potentially leading to cost and productivity issues. It is also possible for communication issues to become exacerbated by more people being involved. Lastly, there is no failsafe in the system: If there is any vertical element to the rescue the rescuers could let go of the rope, letting the casualty fall (this can be worked around by adding a rope capture system in- See below). These are great! A simple pulley system like the one above (a 3:1 mechanical advantage) can make hauling a casualty out of a confined space horizontally much easier. These types of systems can make it possible for one person to do the work of two people very easily. We’ve found that many of our clients find these very useful for their work. They can be used on any length of rope, are relatively cheap and are fairly easy to construct. To make this setup even cheaper a prussic could be used to secure the pulley which “travels” to the mainline. A rope capture system using a prussic or descender can also be used to provide a failsafe. These systems give much more “feel” to the rescuer than the “Four Angry People” method helping to avoid injuring the casualty. However, care must still be taken as pulley systems do allow a lot of force to be generated with relatively little effort. Using systems like these requires training as there are definitely some right and wrong ways of approaching things, but this is infinitely preferable to the “It’ll Be Alright” method and much better on a number of counts than the “Four Angry People” method! These do a similar job as the previous system in that they still offer mechanical advantage which can reduce the number of people necessary to conduct a rescue. However as they are pre-rigged they can be easier to operate and sometimes quicker to deploy They can be used on their own, however this can limit the distance over which they can be useful: pulling someone over a 20 metre distance might require 100 metres or more rope! Usually however, this kind of system is “piggybacked” on to a longer rope. It can then be reset repeatedly, allowing the rescuer to start hauling again. If you are after an easy to operate system which avoids the potential for a very confused looking rescuer, these may well be the correct choice! That’s just a quick run-down on a few systems which are commonly, though not always correctly used! We haven’t considered a whole range of other challenges which horizontal confined space rescue presents. Corners, obstructions and a whole range of other issues can make a seemingly simple confined space rescue much more complicated than it appears. The most important first step is that employers recognise that horizontal confined space entries can be just as hazardous as vertical ones. In addition, rescue from them is commonly more difficult than from vertical access spaces. Appropriate training, planning and specialist, though often basic, equipment can make all the difference.